Last century, the Internet was new and data flowed over IP to connect the world. Due to limited bandwidth, only text-based email and primitive web surfing was initially available to consumers. As networking technology advanced, multimedia content delivery became more viable and as a result, the desire for bandwidth has steadily increased. At this point, most consumers now expect stable and convenient broadband Internet service, especially at home. Since high-bandwidth home Internet service is now a reality in most modern countries, the delivery bottleneck has now moved from the curb to the living room. In parallel with the rise of the Internet, home entertainment options have proliferated and advanced. Over the past decade, the television industry has gradually moved from analog to digital content delivery. As a result, consumers now have instant access to an almost unlimited multiverse of multimedia content, in the form of on-demand and live programming. Simultaneously, the television itself has evolved from a bulky, power-hungry box into a sleek, slim, and more eco-efficient LCD display. New TVs support 4K UHD (Ultra-High-Resolution) and offer “Smart” Internet-enabled interfaces and applications, similar to those found on popular tablet devices. Home entertainment accessories such as DVD players, Digital Video Recorders (DVRs), Over-The-Top (OTT) boxes, and game consoles also compete for attention. Most of these new devices and technologies are either dependent on or enhanced by a broadband connection. Unfortunately, these same devices are often located far from a wireless hub or direct wired Ethernet connection. As a result of all these technological developments, digital entertainment content delivery is now increasingly dependent upon the broadband Internet. Unfortunately, pre-existing paradigms of Internet service delivery have impeding broadband penetration rates and degraded the user experience. Historically, wireless home networks were relatively slow (MB/s) and suffered from inconsistent coverage. In contrast, wired connections were faster (GB/s) and more reliable. However, most Internet Service Providers (ISPs) chose wireless over wired in-home networking solutions due to the relative ease of installation and management of a single wireless hub. This imperfect situation may be resolved in the future through the adoption of new wired networking technologies that piggyback broadband signals over existing power, cable and telephone wires. Three wired networking protocols compete for dominance in this new space: G.hn, HomePlug, and MoCA. A fourth protocol, HomePNA, also exists, but it is a more mature standard that is managed under the same umbrella as the G.hn protocol. The following discussion introduces G.hn networking technology. 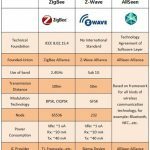 Many of its advantages also apply to competing protocols (i.e., HomePlug and MoCA), but we will not compare or contrast these other protocols here, in part for the sake of impartiality. Regardless of its advantage over preceding networking technologies, G.hn represents an emerging broadband networking solution that deserves attention in and of itself. G.hn is an abbreviation of Gigabit Home Networking, a set of wired networking protocols, established by the International Telecommunication Union (ITU) and managed by HGF (HomeGrid Forum). HGF unites more than 70 stakeholders, from international telecommunications providers, system vendors, to chip suppliers. The G.hn protocol allows signal transmission over home power lines, coaxial cables, telephone lines, and even plastic optical fiber for connection speeds up to 1 Gbps. G.hn represents a new home networking alternative. Like wireless technology, it extends Internet connectivity without the need for new wiring. Unlike wireless, it operates at must faster speeds. G.hn does not rely on or interfere with existing home networking technology and consumers do not need to replace existing devices. Due to these factors, G.hn seems to be the ultimate wired networking technology, achieving high performance over existing home wiring. 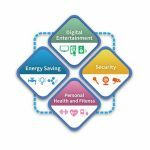 In 2014, the HomeGrid Forum (HGF) attended the Consumer Electronics Show (CES) in Las Vegas. At this show, HGF successfully demonstrated two generations of home networking technologies, HomePNA and G.hn, delivering IPTV content simultaneously over the same wiring. Figure 1 如下 shows the poster from the CES booth that outlines the demonstration, while the text box below Figure 1 provides more details. This demonstration proves that G.hn works well with other networking protocols. With HomePNA operating over coaxial cables and G.hn over power lines, each protocol can establish its own separate network without interference. 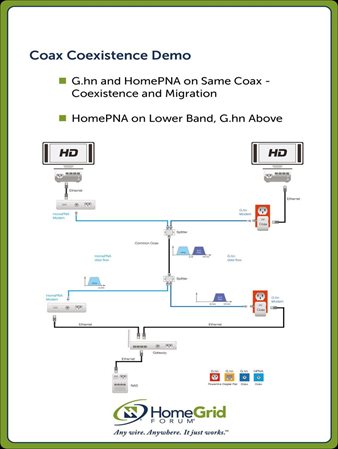 Using G.hn power line networking to extend an existing HomePNA network, service providers could reduce installation costs involved with deploying new cables to rooms with no coaxial or telephone connections. ITU-T also developed G.cx, a G.hn based standard for coexistence with other power line technologies (e.g. IEEE 1901). It enables the shared use of power lines, where the networks take turns using the wire. While this is a less than optimal solution, it does offer an option to operators that wish to convert existing IEEE 1901 deployments to G.hn in phases. Power line connections from the power plant cannot be interrupted between the inside and outside of a home, as electricity must be able to flow freely between the utility and the home residence. Power Line Communication (PLC) networks send signals outside the home that can interfere with other nearby PLC networks. In Asia this occurs frequently with PLC networks, mainly in high-density multi-dwelling unit (MDU) apartments found in major metropolitan areas. G.hn has well-defined algorithms and signaling mechanisms that enable G.hn networks to coexist with other PLC networks. Standard G.hn features stable broadband signal transmission that coexists with other networks, requires no additional wiring, and conforming to environmental standards. 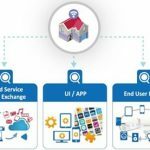 In contrast, G.hn Lite is focused on home automation with a simplified transmission protocol that offers less complexity and lower power requirements. Using a power line transfer mode that operates in the 25 MHz bandwidth, G.hn Lite devices can operate on the same wire, regardless of the frequency range. Imagine, using your Smart TV remote to control lights or directly manage the house security system. These types of applications are possible with G.hn Lite. Microchip testing is fundamental to confirm G.hn network compliance; this covers both basic network performance and higher logic calculations. Integrated circuit hardware is analyzed for network signal interruption under various conditions. Device software and firmware is also tested to confirm compliance with the associate standards and specifications. The HGF has established prerequisite certification testing for system that incorporate G.hn certified silicon. The two main dimensions of system testing are interoperability and performance. G.hn test devices that pass interoperability testing will work with other certified G.hn devices. G.hn devices that pass the performance testing are certified to perform either at or above minimum acceptable networking standards. At this point, there are 22 system companies developing G.hn compatible products that represent an impressive roll call of leading brands from all parts of the globe. The list includes Arris, Blu-Castle, CIG, D-link, Gemtek, Netwave, ST&T, Teleconnect, Ubiquoss, ZTE, and ZyXEL. Just as there are many system vendors, silicon is also available from several sources, including certified chipsets from Marvell and Sigma Designs, with chipsets from Metanoia, Xingtera and TangoTex in development, in addition to Triductor. The Industrial Technology Research Institute of Taiwan predicts that in the next four years, global equipment sales of G.hn products will reach up to US$6.67 billion, which means the demand for G.hn on the market is increasing. This year, HGF is focused on Asia because it is poised for growth. First, Asia is the center of telecommunication equipment manufacturing. Second, progressive service providers, such as Chunghwa Telecom and China Telecom, are already deploying G.hn. In 2014, Chunghwa Telecom vigorously pushed out G.hn technology, with the launch of its high-speed broadband Internet service, offering speeds up to 300 Mbps to the home. G.hn has recently been promoted at the Shanghai Technical Forum (April 2014) and at Computex in Taipei (June 2014). 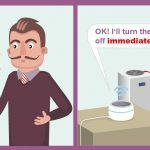 At Computex, Comtrend announced the first G.hn verified system product. Marvel has also released the first G.hn verified silicon product, which includes MIMO for easy home network expansion. 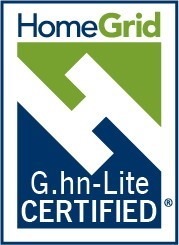 G.hn seems to be the ultimate wired networking technology, achieving high performance over any existing home wiring. Although its applications are not limited to home entertainment, it seems ideally suited to bring broadband content from the curb to the living room. 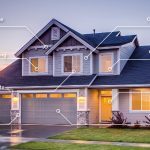 Whether or not it becomes the dominant standard for unified wired home networking, it is definitely a formidable technology for extending broadband networks within the home.